LIGNA 2019 will introduce the LIGNA.FORUM. LIGNA 2019, which will take place in Hannover, Germany May 27-31, is more than just a place for discovering the latest innovations, making deals and networking. 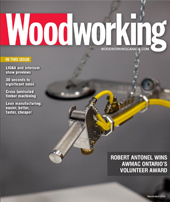 The largest and most important industry show for the primary and secondary woodworking industry is expanding its offerings with a large number of special showcases for all areas of the wood processing and woodworking industries. 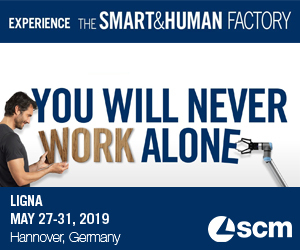 This year’s show marks the premiere of the LIGNA.FORUM, a presentation forum in Hall 11 that will provide in-depth coverage of the key LIGNA focus themes as well as topical issues relevant to the secondary processing sector. They include “Processing of Plastics and Composites”, “Smart Surface Treatment” and “Integrated Woodworking – Tailored Solutions” as well as lectures and presentations from science and research. The LIGNA.FORUM will also be the venue for the German Timber Construction Award prize-giving ceremony. Coverage of “Processing of Plastics and Composites” will not be confined to the LIGNA.FORUM. At an information pavilion operated by the University of Stuttgart Institute for Machine Tools (IfW) in Hall 11, visitors can learn about woodworking machinery that can process wood as well as plastics, panel products, composite materials and insulation and building materials. Scientific Research and Education has been a long-standing and popular showcase in Hall 11, where trade schools, polytechnics, technical colleges and universities present their latest R&D findings and projects and provide information on their education and training programs. Complementing the Scientific Research and Education showcase is the LIGNA.Campus. One of the projects on show, the “proto-lab” from Rosenheim University of Applied Sciences, is already attracting great interest. The proto-lab demonstrates the feasibility of an innovative human-machine processing system that can cater not only for high product variability, but also greater product complexity. Visitors will learn about key future technologies, including cyber-physical assistance systems, such as collaborative robots, automated guided vehicles and smart worker support technologies. “Industry 4.0 is just the tip of the iceberg,” said Dr. Andreas Heinzmann from Rosenheim University’s Faculty of Wood Technology and Construction. “Ever-increasing market pressure to individualize and digitize means production has to be highly flexible. It also requires a complete re-think of production planning and management processes. LIGNA Training Workshops for joiners, cabinetmakers, carpenters and mobile assemblers are returning to LIGNA in 2019. The LIGNA Training Workshops are an opportunity for exhibitors to give users an in-depth, hands-on experience of their products. In addition to hands-on training sessions, the event also features a program of lectures on technical matters of relevance to skilled trades people. 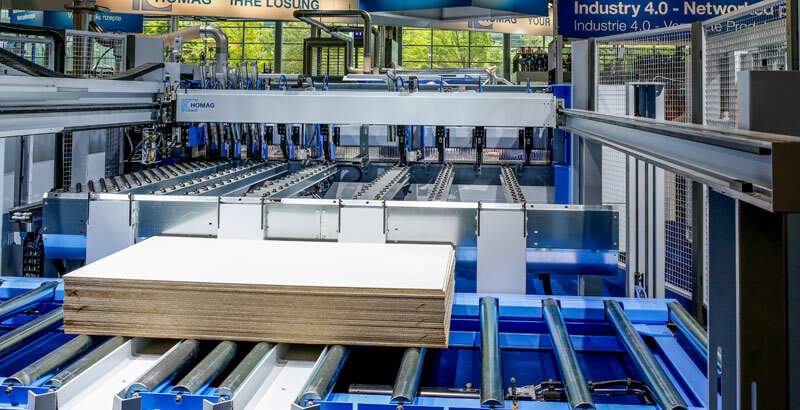 As well as being a key showcase for all the latest technologies, LIGNA is the ideal place to learn about the latest trends shaping the woodworking and timber processing industries – for instance, as a participant in one of the LIGNA Guided Tours. Themes at this year’s show include “Integrated Woodworking Technologies – Tailored Solutions” and 2019 newcomers “Smart Surface Technologies” and “Sawmill Technology – Innovations and Trends”.